For Hyderabad, radio holds a special place since decades when Deccan Radio (Nizam Radio 1932) went live on air on February 3, 1935. 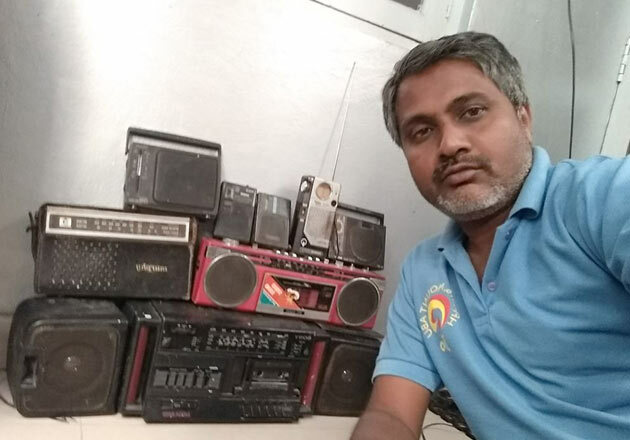 (Below) Sridhar Reddy Bheemreddy, a Ham, who has 150 antique radios. 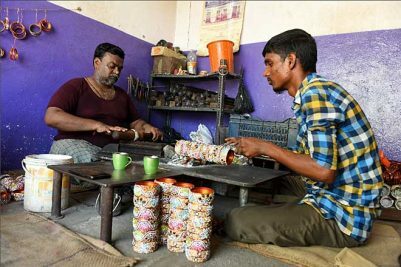 Hyderabad: Once upon a time, long before YouTube, Apple Music and Google Music or Alexa and her peers were there round-the-clock, there was a race to the living room before 8 pm, as a little device, mostly a Murphy, spluttered into life, the voice of Ameen Sayani crackling across the room. Those were the days, ‘bhaiyon aur beheno’, of the radio. Of the ‘Binaca Geetmala’ countdown, of the ‘Bhule Bisre’ moments, when Ceylon Radio and Vividh Bharathi were the places we ‘browsed’ for music. Now, seeing a radio itself is a rarity, forget about listening to it. The ‘radio’ of the present day is mostly seen as car stereo. Ahead of the World Radio Day on February 13, a few senior announcers with All India Radio (AIR) say the use of radio, ie., before the advent of television channels, smart phones and the internet, to reach remote communities and vulnerable people along with women, youth, farmers and students, was high particularly during 1980s and 90s. Those were the times when AIR, then known as ‘Akash Vani’, played a vital role during cyclones and floods by disseminating crucial and timely information on relief work and aid. While those who had a cassette player would go to a music store to buy a cassette, others waited for programmes such as ‘Binaca Geetmala’, ‘Man Chahe Geet’ and so on. A far cry from today, when everything is available on smart phones. But there was a difference, they insist. Radio was not just for entertainment. It was a source, the only source for many, to get news and information. According to V Udaya Shankar, AIR Station Director, Hyderabad, though there were several changes in use of communication, radio still stands out as a traditional and conventional tool to offer both informational and entertainment that caters to all categories. 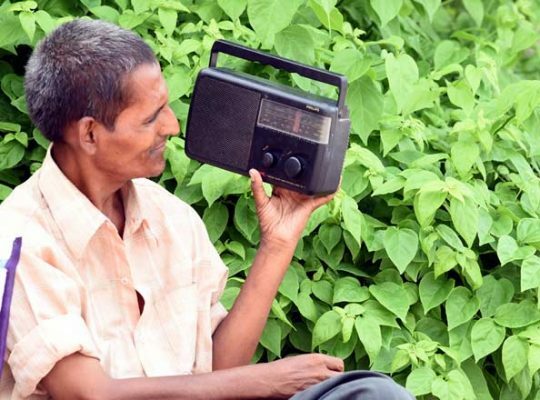 “As soon as we talk about the radio, senior citizens become nostalgic, recollecting programmes such as Spot Light, ‘Yuva Vani’, ‘Naatakam’, ‘Bhaktiranjani’, ‘Janaranjani’, ‘Bala Vinodam’ and ‘Balanandam’. People used to eagerly wait for the time and gather around the radio to listen to these programmes,” he said. For Hyderabad, radio holds a special place since the decades when Deccan Radio (Nizam Radio 1932), the first radio station in Hyderabad State, went live on air on February 3, 1935. “We used to send letters to the radio station to play the song and it was exciting to hear to our own name from the radio announcer. The whole family used to gather around the radio for their favourite programmes,” Reddy said. Nowadays, a few youngsters are taking to Ham and youngsters are eager to know about the radio and Ham radio as well, he said and added that in the 1980s, the popular brands were Murphy, BPL Sanyo, Bush, GE, JVC, Kaide, Kreff Plus, National Panasonic, Philips and Sony, to mention a few. However, it were the valve radios that used to be a pride possession and its users were treated as rich persons in its generation, he added. Despite the widespread popularity of television and digital media, AIR has held its own as a reliable source of information and has carved a place for itself as an affordable medium of communication. Even after the arrival of several digital platforms and online music, listeners continue to use FM stations available in Hyderabad such as Bol Radio, Radio City, AIR Rainbow, AIR Vividh Bharati, BIG FM, IGNOU Gyan Vani, Deccan Radio, RED FM, Fever FM, Radio Mirchi, KOOL FM, Radio Charminar and Magic FM. RJ Sunil Duth from Rainbow 101.9 FM said today’s generation was listening to various radio stations while traveling. “With different ideas and concepts, radio jockeys are entertaining listeners,” he said. “Be it traffic updates, current trends in social media, ongoing issues, cine updates, trolls and what not, many things are on store in various FM platforms available in Hyderabad,” he added. 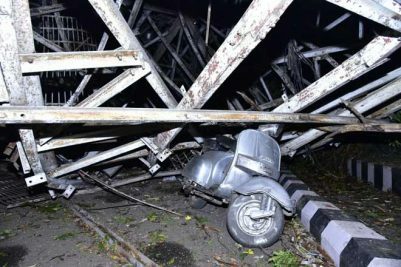 Senior journalist Bhandaru Srinivas Rao said the Hyderabad radio station had made efforts to attract all age groups by bringing several programmes helpful to the society. Akash Vani had its own style of presenting stories and had kept upgrading in tune with the generation, he said. “During the days where there was no television, radio used to live broadcast several important events happening across the country, thus becoming an essential medium to the public every day,” he added.